Eating a healthy diet is important at every age but it becomes particularly necessary as we grow older. Our nutritional needs change as our body ages so we need to make dietary adjustments accordingly. 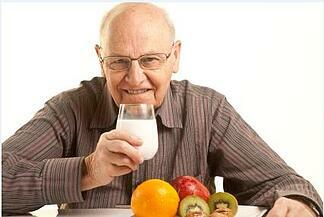 Many seniors do not eat as well as they should which can lead to serious nutritional deficiencies. With a reliable in-home caregiver who uses a helpful homecare system or homecare software like ClearCare Onilne, this outcome can be avoided. Recent research has found that low levels of key nutrients—even modest vitamin and mineral deficiencies—can put seniors at risk for serious diseases. Caregivers can use ClearCare Online’s homecare system and homecare software to track meals and nutrition, as well as monitor any health concerns. According to the American Academy of Family Physicians, nearly 3.7 million seniors are malnourished. Family members and friends should be on the lookout for signs of malnutrition and regularly monitor their senior loved one’s eating habits. If the family is unable to check in on their senior relatives, it may be time to bring in additional assistance. An in-home care provider – specifically one that offers ClearCare Online’s homecare system and homecare software – can carefully supervise each senior’s meals and identify problem areas. Daily tasks can be set in the caregiver’s homecare system and homecare software for meal preparation as well as reminders for exercise – another key component to healthy living. For seniors who are having trouble getting adequate nutrition, it is likely they are experiencing difficulties in other areas of life as well. Working with a reputable home care agency can give the senior the assistance he needs, while still allowing him to maintain his dignity and independence. Home care agencies that use a reliable homecare system or homecare software, such as ClearCare Online, not only provide safe and quality care, but are also able to offer real-time visibility to family members. If you have questions about how your senior loved one might benefit from such quality services, call ClearCare Online today.